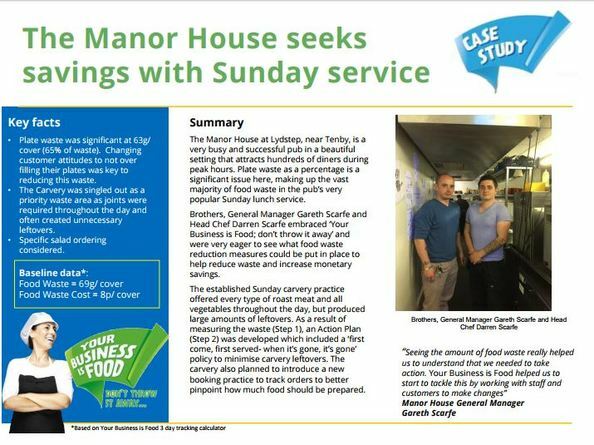 Brothers, General Manager Gareth Scarfe and Head Chef Darren Scarfe embraced ‘Your Business is Food; don’t throw it away’ and were very eager to see what food waste reduction measures could be put in place to help reduce waste and increase monetary savings to their Sunday carvery practice. "Seeing the amount of food waste really helped us to understand that we needed to take action. 'Your Business is Food' helped us to start to tackle this by working with staff and customers to make changes”.